I am feeling really honored to be running with them and helping them with their mission to increase awareness about the importance of a healthy lifestyle through sound nutrition and fitness. In other fitness news, I have been coaching a HIIT bootcamp-type class called GRIT several times a week. It is crazy-hard/fun! This video about it gives me goose bumps. If you are in the BTV area and want to try it, check out the class schedule. Let’s just say, my muscles are letting me know they have been working hard. The other night I got home from the gym and look what had just arrived in the mail. 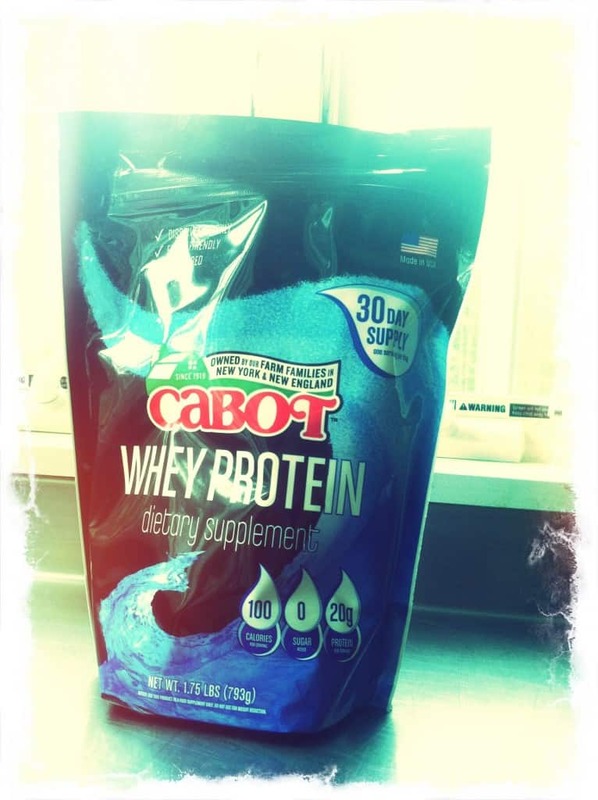 I know a bunch of the trainers who work at my gym use whey protein, so I am really excited to try this one out. You can read more on whey and fitness here. All of this has gotten me thinking a lot about muscle recovery. Which in turn reminded me about a conversation I had a while back. I was lucky enough to talk to sports scientist, Declan Connolly. He is Professor of Physical Education at the University of Vermont. And he knows A LOT about muscle recovery. You can read more about him here. When we spoke, he told me that for optimum recovery I have to strike the right balance of roughly four parts carbohydrate to one part protein in the post work-out snack department, And I have to be sure to grab it 15 to 20 minutes after a workout. “That window opens and closes very quickly,” says Connolly. He also urges that for an average woman who exercises for an hour (or even two) each day, the number of calories in the snack is important. He warns against taking in too many calories. 150 to 165 calories per snack should do it for a woman weighing 150 pounds. For most men or for more intense training that would be around 200-250 cals. 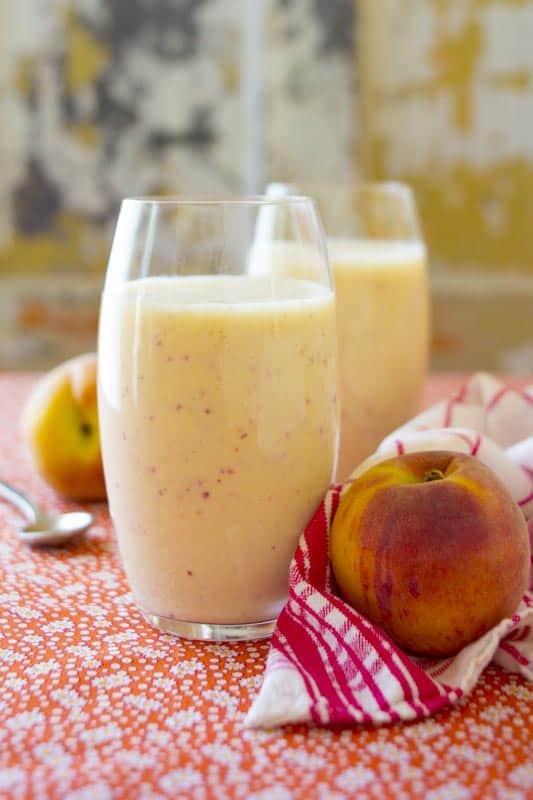 So I thought today would be a great time to share this Peach Recovery Smoothie recipe that I developed for the Cabot Fit Team. It has that four to one ratio of carbohydrates to protein he mentioned. And it has both coconut water and bananas in it, which are both a natural source of potassium. 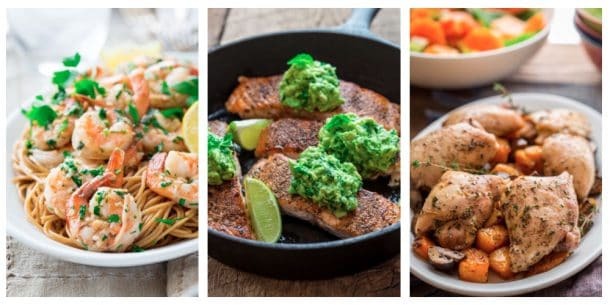 There are also a lot of great ideas for recovery foods here. 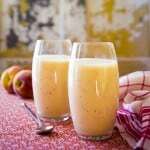 If this smoothie is your cup of tea, make sure to check out this Mango Coconut Breakfast Smoothie I developed for EatingWell Magazine and this three ingredient blueberry smoothie I blended up for Cabot. Hey, and be sure to leave a comment and let me know: What are your favorite recovery snacks? Are you training for any races this summer? 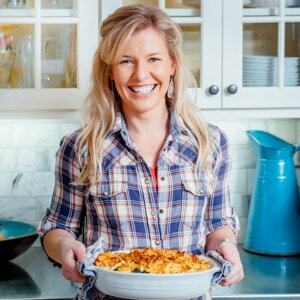 This recipe was developed for Cabot Creamery Cooperative and also appears on their website. 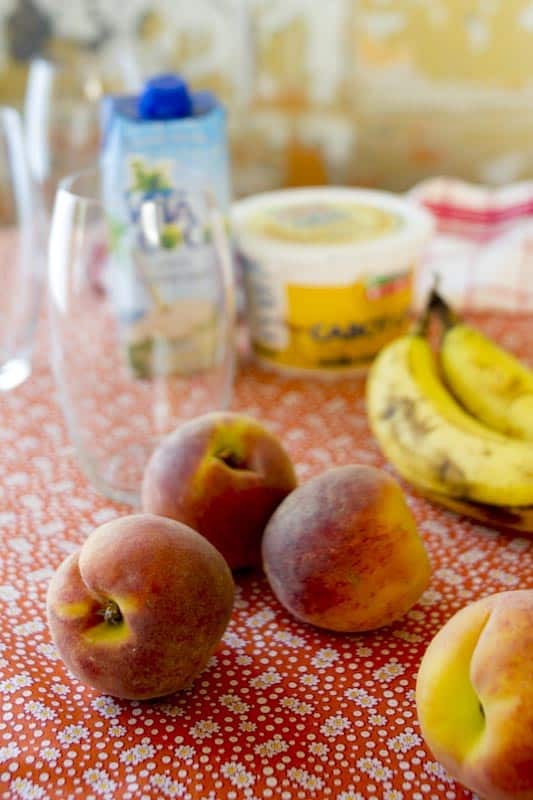 Combine yogurt, coconut water, peaches, banana and ice in a blender. Puree until smooth, 30 to 45 seconds. This sounds like a great smoothie post workout. I gotta give this a shot after my TRX classes. Yes these go down pretty easily. I have to try out TRX myself. They have it at my gym, and it looks like fun. Thanks for coming by. Thanks so much Erin. I know right? Easy is key, especially when you want to grab something fast. Interesting read. I knew about the ration, but I’d never heard about the 15 to 20 minute window. That’s a tough one for me. I’m almost never hungry at that point… in fact, I’m usually a little turned off of any food that close to strenuous exercise. But I’m definitely willing to give this a try within that window, cause it sounds yummy! I agree completely Regan! I usually feel a little sick sometimes for the first twenty minutes or so. But smoothies do go down more easily for me for sure. I am always looking for a new recovery snack. Peanut butter does eventually get old! I wish I lived in your area, so I could try those GRIT classes! They sound like my kind of workout: Intense! I’m on my way to the gym this morning, and this is exactly what I’m going to want when I get home! Thanks Lisa! Hope you had a good workout. Looks awesome, I will have to try it. I guess most of the protein comes from the yogurt? I’ve been trying to stay away from whey protein and stick to plant based proteins but it’s pretty tough. When do you make it, before the gym and bring it with you or do you make it after the workout? You got it, the protein comes from the Greek Yogurt. Its about 13 to 14 grams. I make this right when I get home from a run. I haven’t tried making it and bringing it to the gym with me. My guess is that it would be perfectly happy to wait for me as long as I kept it cold in a cooler or fridge while I got my sweat on. Thanks for stopping by. Awesome, I will try it after my next workout for post-workout recovery! I haven’t stopped making them since you posted it! I am going to have to freeze some peaches to keep the trend going past peach season. Corn Ice Cream is next on the list. I did get to try some last weekend at the Fresh Farmers Network at Shelburne Farms and it was really yummy!!! Dom, I am so glad you like these. I am still eating peaches almost every day too! They are just perfect right now:) I hope you like the corn ice cream. I love peaches.But now only i heard about adding coconut water with peach smoothies. peaches are good for skin.It enhances the beauty. I like bananas,but peaches are my favorite fruit since i was a kid. That’s why this smoothie is precisely my thing! It does a decent job for post workout recovery, because both fruits help ensure proper balance of fluid and electrolytes in the body and the proper functioning of cells. We lose electrolytes when we exercise and we need to replenish ourselves with such, when we’re done, so yeah this smoothie really does a good job and is tasty as hell! This smoothie looks yummy! I absolutely love peaches (especially in the summer).